This story was originally published at www.proactiveinvestors.com on March 1, 2016 and featured in The CSE Quarterly. The stated goal of MGX Minerals (CSE:XMG) – to put seven to ten mines into production over the next decade – is as ambitious as they come. But speaking to the company’s CEO, Jared Lazerson, a philosophy begins to show itself that is different than that typically followed within Canada’s junior mining community. It is certainly one that fits the company’s objective. The first property scheduled for production is Driftwood Creek, a 776 hectare magnesium project located in the East Kootenay region of British Columbia. Magnesium is a mineral most people have heard of but few probably know what makes it useful. In different forms, magnesium can do everything from strengthening steel to fortifying vitamins, and is also used for wastewater treatment. Lazerson believes magnesium oxide (what the magnesite at Driftwood Creek would become after beneficiation and secondary processing) is suited to yet another application which is still emerging but could grow to be huge. He goes on to explain that wallboard out of China is characterized by “a wide variety of qualities,” which means there is opportunity for a company with a reliable source of high-quality magnesium oxide to address North American demand for wallboard. “It is being used in high-rise buildings and also in Florida and other areas where flooding is common,” says Lazerson, explaining that drywall containing magnesium oxide has parallels to cement products, absorbing some moisture but not losing its structural integrity when it dries out. “In terms of where the massive growth in market demand for the commodity is, we are betting on that,” he says. Magnesium alloy is a different story and, for the time being, not something MGX wants to target. With the end user equation seemingly figured out, the question of what hurdles are left to clear before reaching commercialization at Driftwood Creek is an obvious one. MGX announced in January of this year that a mining lease had been awarded for the project by the province. Separately, it received a permit to conduct bulk sampling of 100 tonnes of material at the site in the fourth quarter of last year. Its road permit came around the same time. “In terms of getting stakeholder sign-off – government, First Nations, local community – the mining lease required everybody to sign off, so that is a big step in terms of not running up against any major delays,” says Lazerson. Major steps to go include construction, meeting capital requirements, environmental permitting, and then obtaining the actual mining permit. 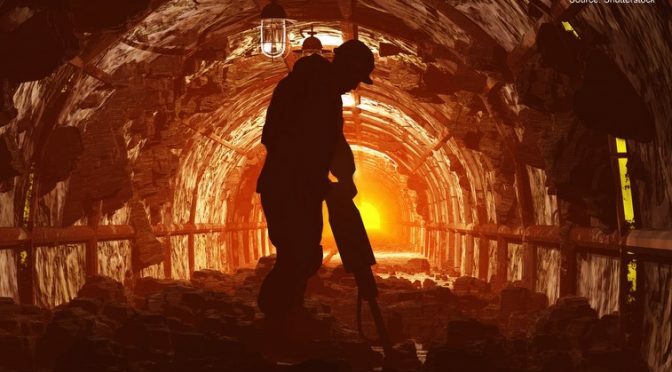 Anyone who knows anything about mining understands that while that might be a short list, the timeframe to check all the boxes is almost always tremendously long. If all goes according to plan, the mine could be in production before the end of 2016. Looking beyond Driftwood Creek, MGX recently entered a purchase agreement to acquire a 100% interest in 96,000 hectares of property in Alberta. The land package contains multiple oil and gas wells that the company says contain brines rich in lithium, potassium and magnesium. It comprises six permits and six permit applications. Like Driftwood Creek, the Alberta properties reflect an approach of acquiring projects with fairly well outlined deposits that can be put into production for initial outlays of no more than $50 million. Lazerson explains that lithium, similar to magnesium, is a fit for the company mandate: “industrial minerals, Western Canada, low barriers to entry, low capex. Risk management is another theme that runs throughout a discussion with Lazerson. In discussing MGX’s commitment to operating in Western Canada he references his team at length. “Everybody on the ground in terms of geology and engineering has done a tremendous amount of work in Western Canada and I can’t overstate how important an understanding of the local geology, community and infrastructure is – these are what allow　us to do things relatively inexpensively, but more importantly than anything, quickly. Another pillar of the MGX strategy is a focus on industrial minerals with “a small footprint,” the reason being, according to Lazerson, that these types of projects tend to require smaller amounts of capital to put into production. Driftwood Creek is a good example, and because it is a magnesium oxide resource there should be minimal environmental impact at the mine or in the processing. Implied, if not directly stated, in all of this is the vision of establishing MGX as a company that walks the walk, if you will. A company that gets mines up and running efficiently and makes money. Once that track record has been established, attracting new projects and financing, not to mention all the other tasks that need taking care of in order to accomplish corporate objectives in this incredibly challenging business, would become that much easier. Ambitious to be sure, but worth the effort.